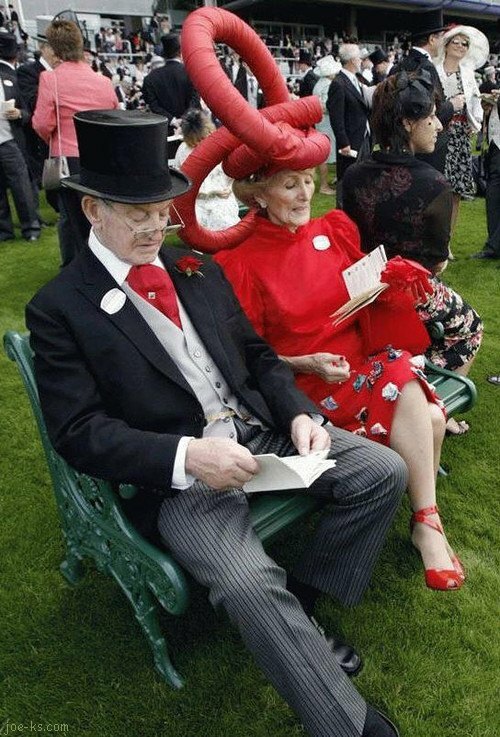 Latest in Ascot Racecourse dress - blown out of proportion? Got a great caption for this Image Caption #196 pic? “When this race is over, could you have James fetch the Bentley a bit soon, Dear?